Are you considering the purchase of a new or used home? Are you concerned about the integrity of the electrical wiring in your home? Is your home more than 30 years old? If you answered yes to any of these questions, then a home electrical inspection is right for you. 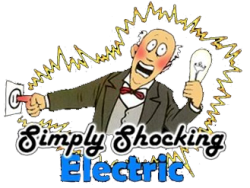 Simply Shocking Electric gladly offers comprehensive home electrical inspections for people in the Vancouver WA and Portland OR area. Our master electricians are experts in identifying faulty home wiring and home wiring in need of repairs. A residential electrical inspection can ensure that your home’s electrical system is up to code and safe for you and your loved ones. Does the home provide enough electricity for the needs of the family? Is the electrical wiring grounded and in proper working order? Does the home have aluminum wiring? Is the electrical meter in proper working order? Are all the switches and outlets in the home intact? Is the service panel in convenient location, away from potential hazards? Are all wires attached to the service panel with cable clamps in place? Are there any holes in the service panel? Are there any unused breaker space holes? Does the circuit wiring match the circuit breaker? Do all wires run neatly from the service panel? Are there any nicks in the wiring? Are there signs of overload on any of the wires? Is there a smell of hot plastic? After the inspection, the master electrician will inform you on the status of your electrical system as well as any suggested repairs. 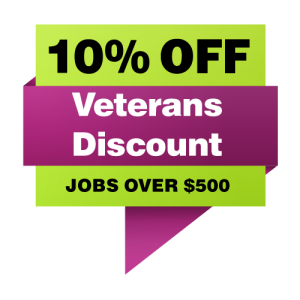 We will be sure to walk you through any repairs that need to be done and discuss a time frame in which they should take place. Residential electrical inspections are better left to licensed professionals. The electrical system in your home requires the attention of an expert who is seasoned in the proper safety and trade techniques to ensure the job is done properly. Home electrical inspections are dangerous, especially when the technician begins testing connections in the service panel. Do not risk your life, or the life of a loved one, trying to perform a do-it-yourself home electrical inspection. Proper electrical inspections should be performed before purchasing a home. Older homes with aluminum wiring require frequent inspection due to the issues with this type of sub-standard wiring.